After years of talk and hype 5G is starting to emerge as something of a reality. In February, the European Horizon 2020 Project launched its testbed for trialing futuristic media services in Bristol and Barcelona, while the latest 5G spectrum sell-off saw UK operators fork out nearly £1.4bn in April. US operator AT&T announced it will launch a 5G network later this year, while a report by Viavi revealed that there are now 72 operators across the globe currently testing the technology. There are no shortage of trials and according to a recent CCS Insight report, it is the US and Asia that will dominate early adoption. This won’t of course stop cities across the globe claiming 5G firsts (the University of Bristol demoed the world’s first end-to-end 5G network at MWC in March) but what it means is that the technology should mature rapidly. We’ve already had our first commercial taste at the recent Winter Olympics in Pyeongchang, South Korea, where Intel, Samsung and KT collaborated to provide high resolution streaming and VR experiences, thanks to 5G-connected cameras. So, we know it can work in the real world at least on a small, controlled scale but what we really need to understand is how this will impact computing on a wider scale. There is a coming together of new technology. 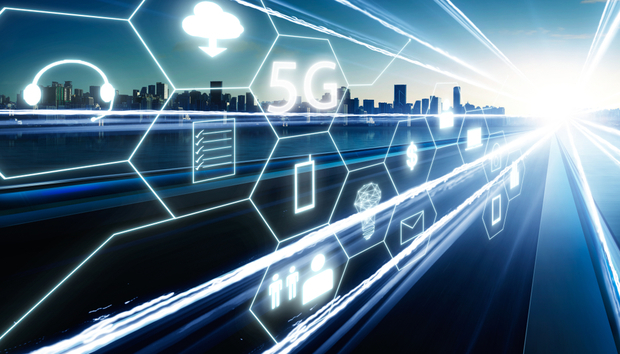 5G is maturing at a time when demand for connected devices and sensors is increasing and with it pressure on networks to manage increased amounts of data. This is where edge computing steps in, to increase processing and analytics capabilities nearer to the source of the data. It’s certainly gathering momentum, with Intel announcing a chip designed for computing at the edge back in February. What it means is that to cope with increased complexities and the demand for real-time monitoring of networks and datacenters, organizations will have to look for more automation. « What is open metadata and why should we care?